I entered a couple of my brews (Taupo Eruption and Plague of Kali) in the National Homebrew Competition. 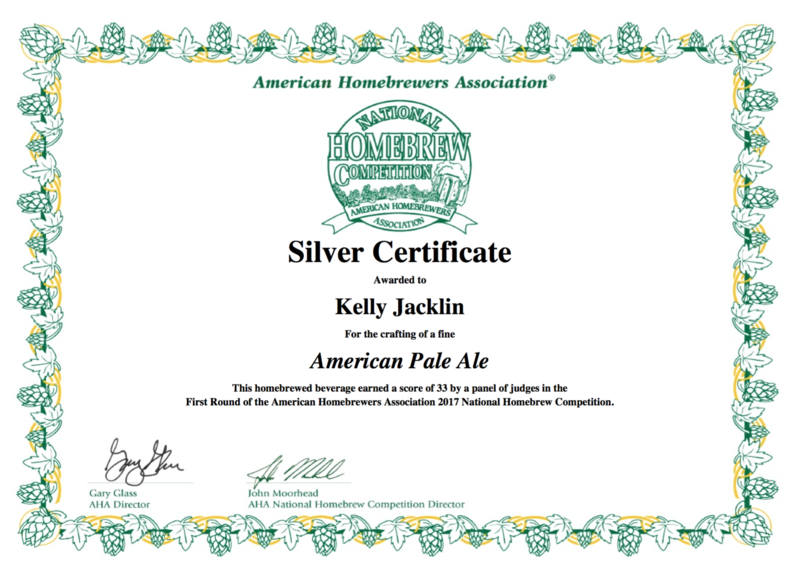 This is the single biggest homebrew competition worldwide, with 8,674 entries from over 3,500 homebrewers this year. That's huge! But I did get a silver certificate for my Taupo Eruption, and a lot of good feedback (both positive, and, erm, "constructive") from the judges, and nothing really negative said, so I count that as pretty good.